Situated over London Bridge Railway Station, the former headquarters of Price Waterhouse Cooper was consigned for demolition in June 2007. 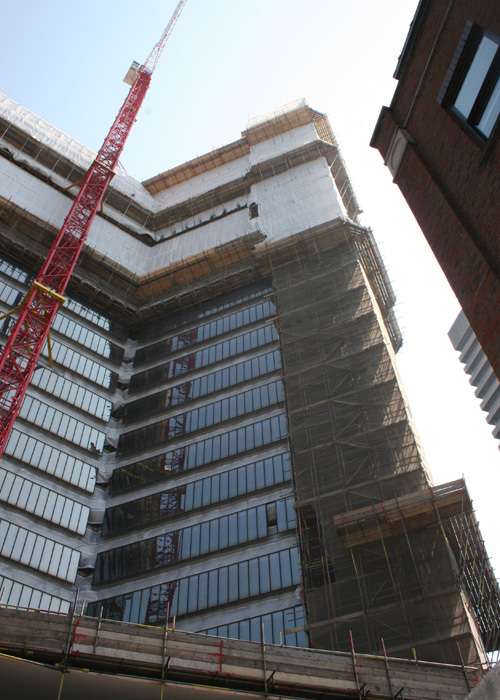 The building – a 100m triangular tower block – will be replaced by a 300m new building called ‘The Shard of Glass’. 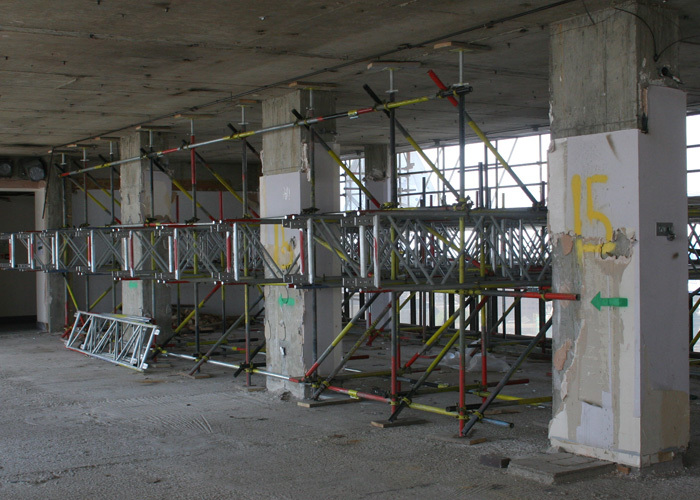 In August 2007, TRAD Scaffolding was employed to design and build a scaffold to support the demolition. This was a challenging project, as the building rose above the London Bridge Railway Station, which was to remain open throughout the demolition. 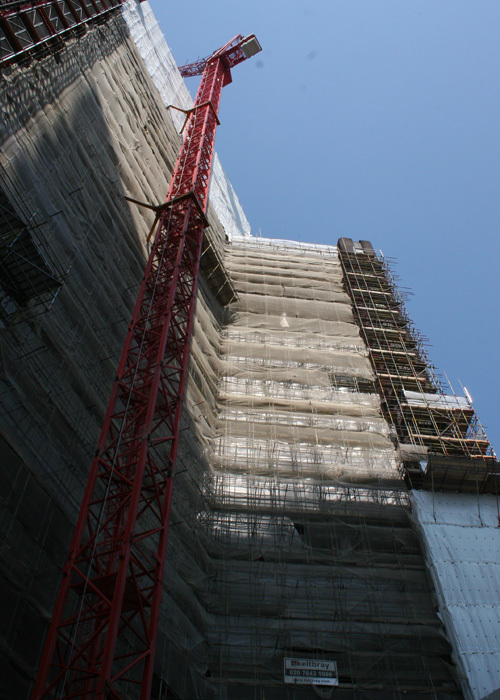 It was also in close proximity to the access route for Guy’s Hospital – and both factors were taken into account during the scaffold design and build. 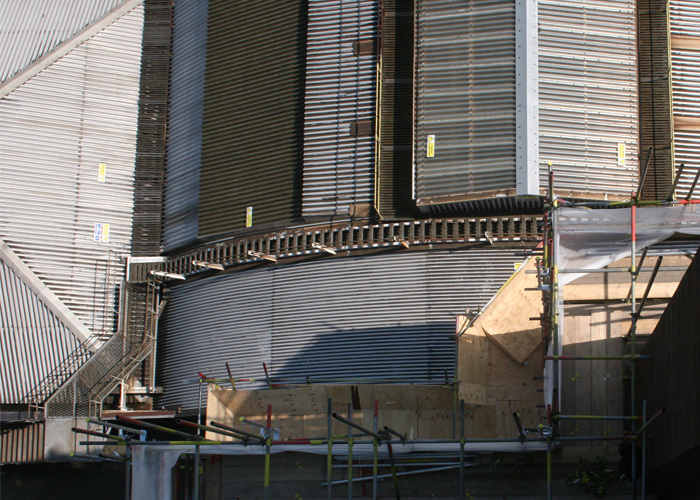 TRAD erected the scaffolding, using 1,500 tons of equipment, in a project worth £753,000. 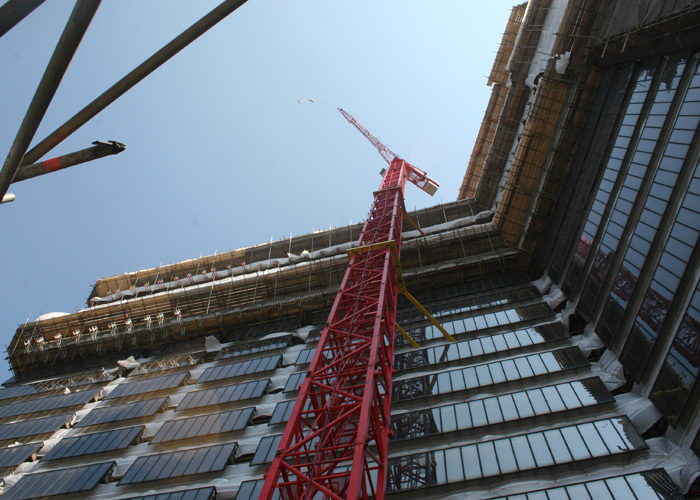 The scaffold was designed to be raised from cantilevers at the 11th, 15th, and 19th floors to allow gradual demolition of the building. Project completion is expected in November 2008.